This is one of the easiest cakes to whip up in seconds. 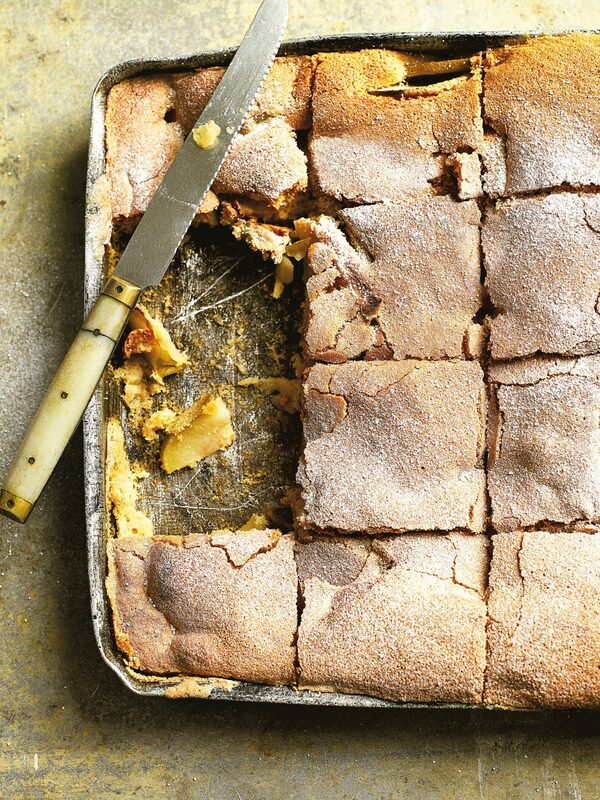 Whenever we had a craving for something sweet, my mum would make this, which she simply called biskvit (a sponge). It is mostly apples, with some fluffy eggy batter spiced with cinnamon and sprinkled with icing sugar. Butter a 22cm cake tin with a removable base. Beat the eggs and sugar until very fluffy. There is no raising agent in this cake so the amount of air you beat into it is essential. Gently fold in the flour and cinnamon. Place the apples at the bottom of the cake tin and pour in the cake batter. Cook for 35 minutes or until a skewer inserted into the cake comes out clean.